The Maximo shares certain design features with the best-selling Minimo and delivers a fantastic driving experience. 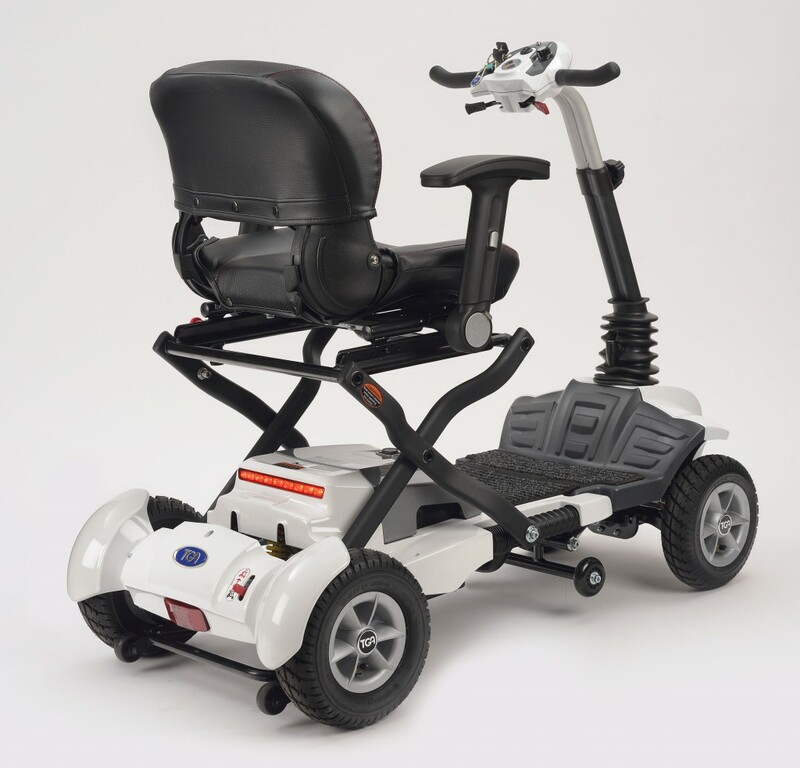 Delivering the highest levels of transportability, flexibility, and comfort. Price excluding VAT.(Incl. VAT £3,358.80) *VAT Relief available on this product. The TGA Maximo is a brilliant folding scooter which has certain features taken from the Minimo and Minimo Plus. It has a larger design which will provide the user with more space while still making transport and storage simple. When folding this scooter, you won’t need to remove any sections. In fact, the collapsible aluminium frame can be activated using just one hand. To ensure that you can find the optimum driving position, the seat and tiller can be adjusted. 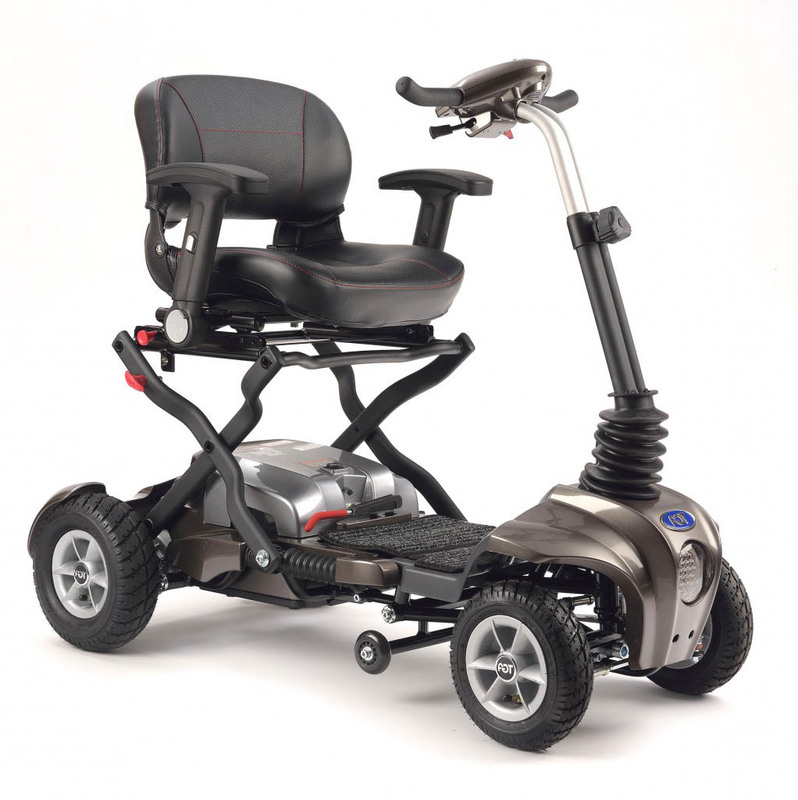 The large pneumatic tyres, mono-shock rear suspension, and anti-tip castors help to provide a smooth and stable ride. A lightweight lithium battery weighs a little more than 7 lbs (3.3 kg) and provides a travel distance of up to 12.5 miles. When recharging is required, it can be done either on or off board. We’re not saying that the Maximo will fit every car boot. When folded, it measures 38” long by 24” (60cm) wide and 21.5” (55cm) high. So always try it our first. 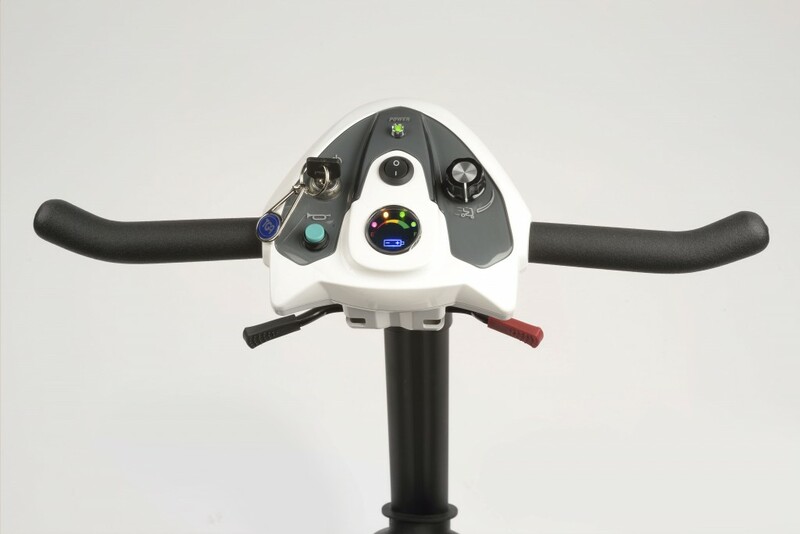 The TGA Maximo also provides low energy Led lights to save battery power, a highly reliable 270w motor, and a 70ah S-Drive controller. If you'd like to try our range of 4mph mobility scooters either pop into one of our showrooms or call 02392 255600 for more information.